Discover the Mysteries, Geomancy, Legends, Nature, Wine and Food of one of the most enchanting regions of the world. The river is never small, it does not start as a little stream flowing out from a spring, it begins by flowing westwards out of a large lake, the Bodensee between Switzerland and Germany. The river turns north at Basel and continues 1230 km until it reaches the North Sea with an exception of some 40 km between Mainz and Bingen, where it starts going west again. With this direction it forms ideal conditions for growing wine on its steep hillsides. This is Germany’s landscape at its most dramatic - forested hillsides alternate with craggy cliffs and near-vertical terraced vineyards. Idyllic villages appear around each bend, meandering between hillside castles and steep fields of wine-producing grapes to create a magical spell of beauty and legend. 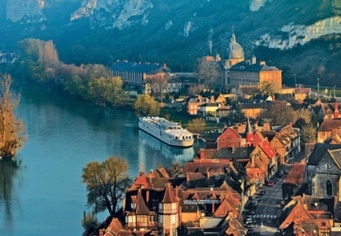 This is the Romantic Rhine, a powerful stretch of the river slashing a deep and scenic gorge. The soil is lime and clay dominated in the wine valleys, which absorbs the sun's heat and retains it overnight. These sites are often extremely steep so they catch the most sunlight, and are difficult to harvest mechanically, so a lot of manual labour is needed to produce the wine. The vineyards are extremely small compared to new world vineyards, making the wines produced long and complex, and many wines hard to obtain as production is limited. 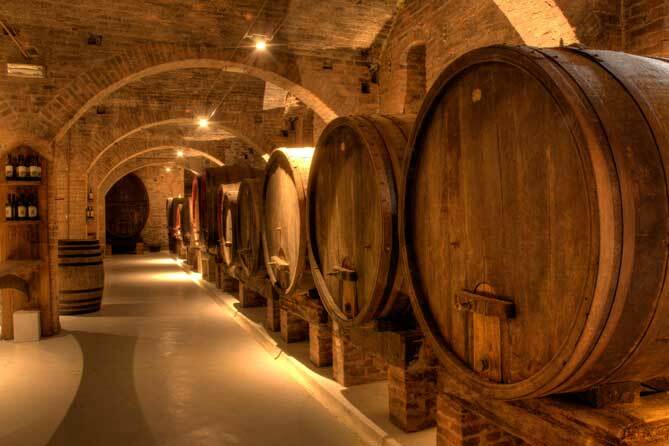 Wine has been grown here since Roman times. The wine is better known than all of the many legends. We will be experiencing many varieties of wine, and visiting many wineries, both on and off the beaten track. 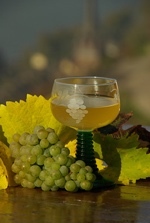 There are stories you will learn on the tour about the Rhine wines. The white wines belong to the best wines in the world. The Riesling is called the king of wines, and even the red ones are of very good quality. The local wine growers are very proud of their products, history and skills. There are many wonderful wine-bars, restaurants, family hotels and many wine-routes that lead from one interesting wine-house to another! There are 13 wine areas in Germany, 11 of them lie in the Rhine Valley. The wine always goes with good food and it is difficult to find a bad restaurant in places like the Rhine Valley. The valley is not only ideal for wine growing, it is also a perfect place for living and has been inhabited since the beginning of humankind. Simple walking in the valley is like reading a lively and interesting history book. The sheer bulk of history that has poured through this river valley rouses your romantic soul. It was here that the ancient Romans decided to call it an empire and draw the line that defined their vast holdings, separating the ‘barbarians’ from the civilized world. It was here that Prussian General von Blücher used an innovative pontoon bridge to cross the Rhine and flank Napoleon’s forces (on their way back from a disastrous Russian campaign). All along the Rhine, it seems each castle and every rock comes with a story. It is easy to "see" the romantic dreamers rafting on the river, medieval nights riding their horses between the castles and fortresses, early saints coming to Christianize the pagan inhabitants, Roman soldiers protecting their camps against German tribes, Celts producing the first pottery and glassware, older people (nobody knows who they were) building their first stone and rock sanctuaries. It is easy to imagine the legendary Nibelungs, heroes, dragons and water maids or sirens combing their golden hair over the river. The Gothic church steeples are seemingly plucked from the world of fairy tales. In 2002, Unesco designated these 65 kilometres of riverscape, more prosaically known as the Oberes Mittelrheintal, as a World Heritage Site. The Rhine Valley is a Germany storybook, a fairy-tale world of legends and medieval castles and villages, great food and wine, adventures, walks and talks. Join Roger and Eva on a wine and story journey of a life time! Leave the navigating and transportation to us. The days are well planned to offer you many highlights, but you are never rushed. Featuring visits at to impressive castles, palaces, chateaux, cathedrals, and monasteries. Featuring lots of wine and wine bars! Tracing the dragon legends, the geomancy, folklores and rituals. Come travel with Eva and Roger, your experienced tour guides and teachers! With Germany being the most northerly of all wine-growing countries, the diversity of German wines will impress every wine lover. German wines are all produced around rivers, mainly the Rhine and its tributaries. 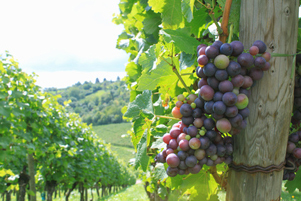 Grapes are often cultivated on the steep slopes so that they will make the best use of the sunlight. On this tour to the Rhine Valley and the smaller, surrounding valleys of the Nahe, Mosel and Ahr rivers, we will learn to understand the subtle differences which distinguish the wines from these appellations. Arrive into Prague 2-3 days before the tour departs for the Rhine Valley. Explore Prague with Roger Green and friends. Arrive either Friday or Saturday 21st / 22nd July. Come to Cesky Krumlov for the day on Sunday 23rd. Rest on Monday, July 24th - or arrive to join the tour. According to the legend, one of the 4 objects of Holy Grail - the Sword - ended up in hands of Charlemagne. You can supposedly see it in Vienna Treasury. But what if the original sword was buried with the King - can we find it in Aachen Cathedral? One of the places where the legendary Gold of Rhine or Treasure of Nibelungs should be hidden until recent times, is the underground of the Cathedral in Cologne. It is worth trying to find it. 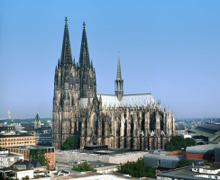 To see: Old town, Farina Haus with the museum of Eau de Cologne, the Cathedral with the Three Kings reliquary and the tower, Dionysus mosaic in the Romano-Germanic Museum. Afternoon Remagen - the bridge and Roman sites. The cliff Drachenfels is said to be the place where the hero Siegfried killed the legendary dragon Fafnir and won the treasure from the Nibelungs. Drachenfels is also one of the legendary seven hills. We will climb up and meet the dragons! To see: Castle ruin and the Hall of Nibelungs. Afternoon coffee in the wine town Linz, and the hot water spa in Bad Hönningen. In their attempt to protect the borders of the ever-expanding Roman empire, the Romans built 550 km of protective walls with over 900 towers and hundreds of castles and strongholds. To see: Limes museum, afternoon Abbey Maria Laach, the world's highest cold-water geyser. 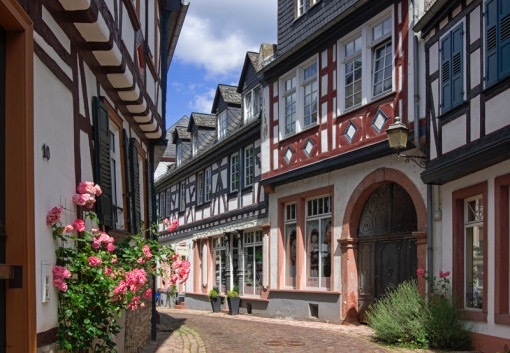 Visit: Andernach and the Roman fort in Boppard, the café-restaurant Gedeons Eck, the city of Boppard, and the local lakes. The city of Koblenz used to be the headquarters of the Knights of the German Order. Rivers Mosel and Rhein meet here forming natural borders. The city is surrounded by castles and fortresses. Before an Emperor was crowned in Aachen, he had to meet the knights and prove his worthiness in a very special place - the Köngsstuhl near Koblenz. Loreley, one of the immortal legends, she is the daughter of the River God who makes the sailors blind through her glittering hair and still they keep coming to search for her. 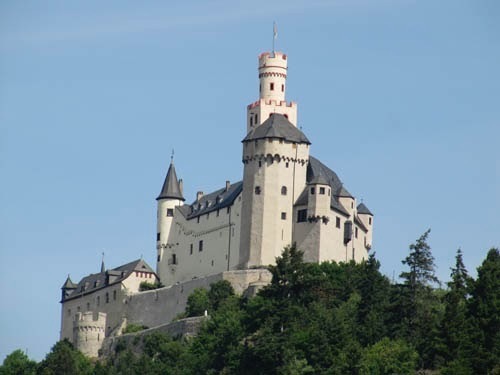 To see: Loreley, the Islands called the 7 water maids, die Pfalz - the castle in the river, Oberwesel - a church with a hand-carved gold altar, and the intact city walls. Lorch - the church with the largest carved altar in Germany as well as Bacharach with its medieval flair. Many believe that there are two people who can be called parents of all medicine in Europe - Paracelsus who lived in 16th century and wrote many important books on healing and disease and St. Hildegard von Bingen who lived in 12th centuries who wrote possibly the first medical description of plants, food and forces that influence our health in general. 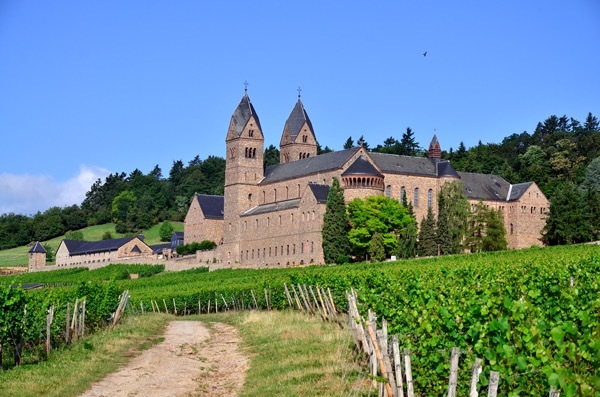 Even if there is nothing left from her original Abbey in Bingen, we can see her museum and a newly built Abbey that continues her legacy. Mainz is another city with strong Roman history and it is called the capital of wine as well as Rüdesheim, where the famous Riesling Route starts. Morning coffee in Wiesbaden, a wonderful spa-city before we leave home. Accommodation and transfers your own arrangements. If arriving into Prague, we will send info on hotel accommodation, (approx. $120 USD per night), and arrange your hotel booking, plus information on our Prague walking tour ($60 per day) and the Cesky Krumlov trip ($84 bus ticket). The hotel where you will be staying is where we depart for the Rhine on Tuesday morning via coach. After 30 days, a complete refund minus a $600 admin charge. 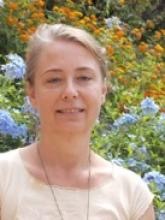 Eva is a translator, interpreter, lecturer, author and guide. Her life-long interest in history, traditions, wisdom, art and science of our ancestors and fascination with metaphysics formed a good base from which she was able to start her five years of working and studying with American historian, Vincent Bridges. She supported him in his search for evidence and resources for his books, guided him to places connected to his work in Czech, and interpreted and helped to organize numerous seminars, workshops, lectures and pilgrimages both in Czech and abroad. Their alchemical walks in Prague were rather popular, a number of sacred geometry students enjoyed their magical rituals in the church at Zelena Hora as well as the labyrinth workshop near Cesky Krumlov. An enthusiastic group participated in the winter solstice 2012 ritual in Prague and a bunch of adventurers joined them to their South France tours (Gypsy festival in Stes-Maries-de-la-Mer, Nostradamus, Grail quest and Cathars in October 2010 and May 2012) and to their last public event - Moravian Michael-and-Mary lay line pilgrimage, as Vincent loved to call it. 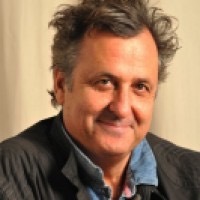 A New Zealander, is an international businessman based in New York and has been active for over 30 years in alternative energy systems, Eco-Design initiatives and Natural Healing education around the world. Mr. Green is a pioneer in modern day Natural Healthcare incorporating both eastern and western themes, having presented in over 70 countries. He is the Founder of the Academy Healing Nutrition based in NYC, a 30-year curriculum specializing in food and herbs as medicine, where he has assisted thousands in their recovery from disease through natural healing methods. He is a co-founder and director of the Prague Academy of Healing Nutrition. He is the Director of the Academy Sacred Geometry. He has sponsored dozens of special and unique educational events, including study tours to China, Tibet, Peru and India, over 14 International Conferences in Sacred Geometry, Feng Shui and Ecology, retreats and tours of South France and the Alchemy of Prague celebrations. He was a pioneer of Classical Feng Shui in the West and has sponsored many Eco-design events and tours. He is a big fan of the German, River Rhine wines! THE COMPLETE PACKAGE: 13-day event! Pay the $600 deposit to secure your place!